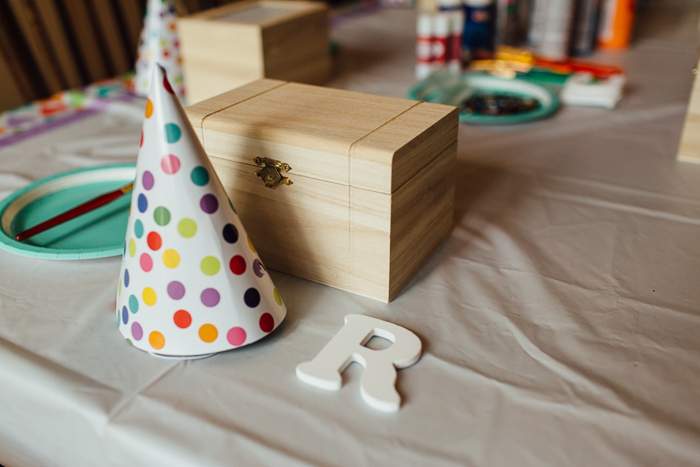 Last spring, I was looking for a craft to do with my then 3-year old Robin. We decided to make large painted butterflies and I thought it would be fun to hang them off the ceiling in her bedroom. While the crafting went very well, when it came time to hang the butterflies, Robin freaked out and was terrified of having them hang from the ceiling. They seemed too pretty to just throw out so I stuck them in the cupboard hoping to use them at some point later. 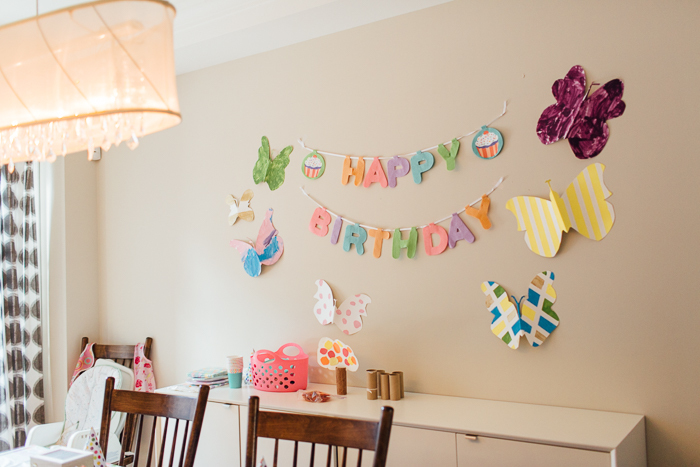 Fast forward 6 months to October – in the midst of planning a co-birthday party with her friend, I remembered the butterflies and they turned out to be great party decor. 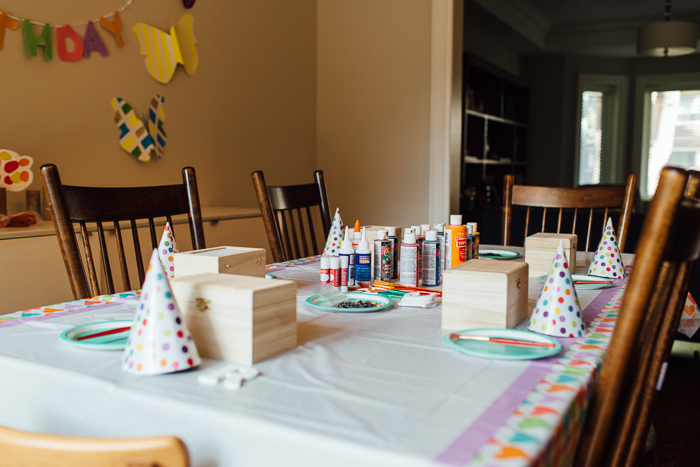 They also would have been a great birthday party or play date craft. 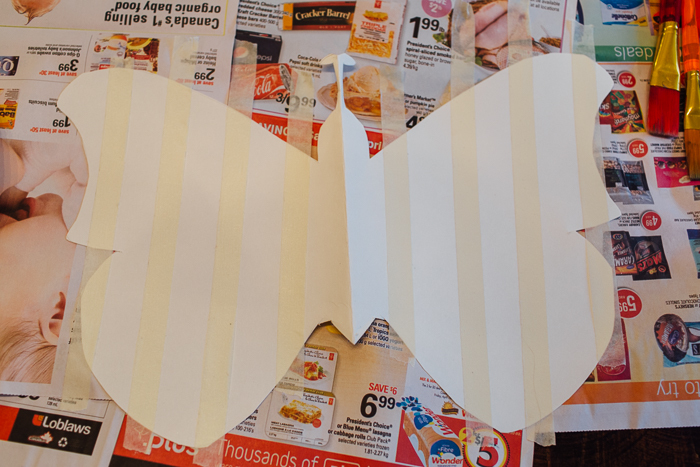 To start, fold your bristol board in half and draw a the shape of a butterfly (one side only). 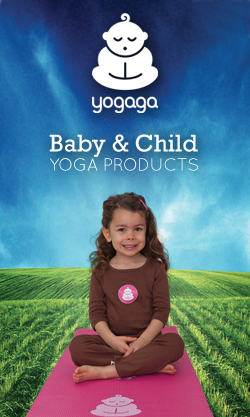 When you cut out the butterfly and unfold the board, you will have a symmetrical butterfly. 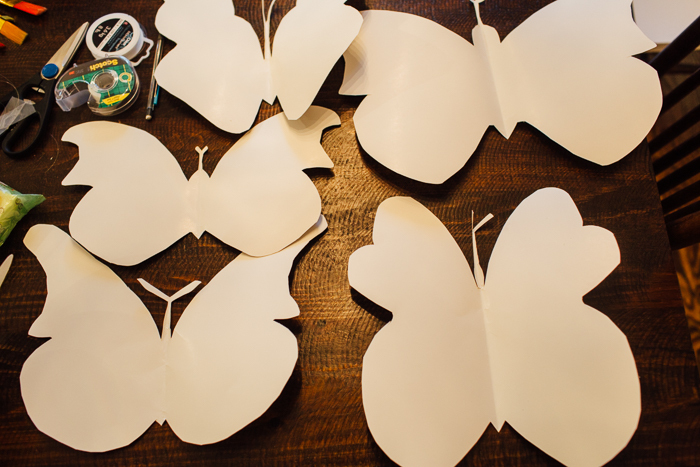 Next, use masking tape to create patterns on your butterflies. 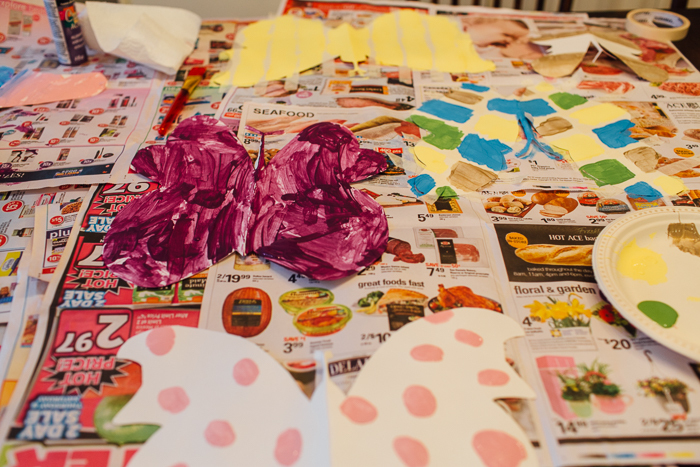 We did a mix of butterflies with tape and some free-hand. 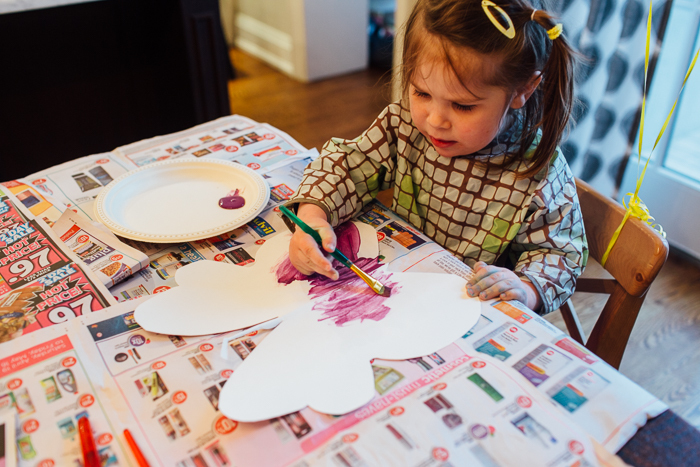 Use colourful paint and let dry. Once dry, remove any tape that you used. 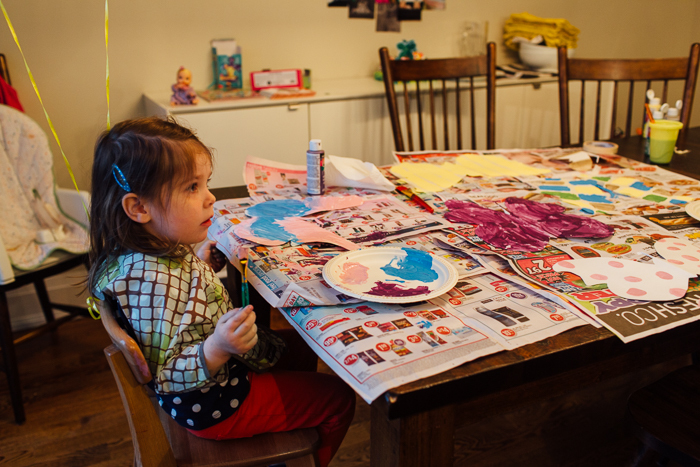 The butterflies provided colourful inspiration for the rest of the birthday party. 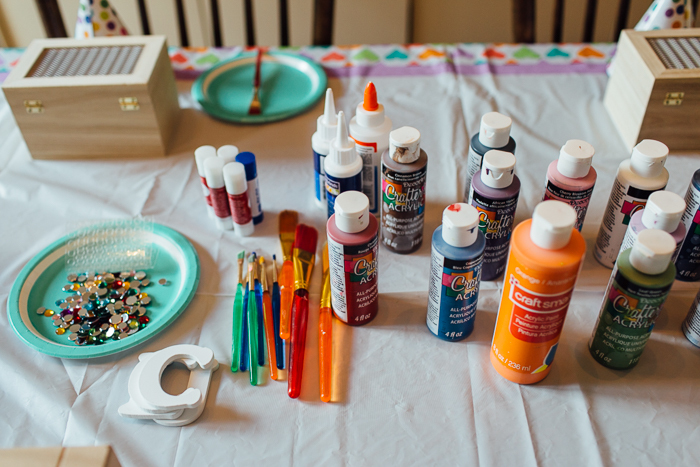 The girls painted jewellery boxes (from Michaels) using acrylic paint (from Dollarama) and decorated them with sparkles, jewels, etc. 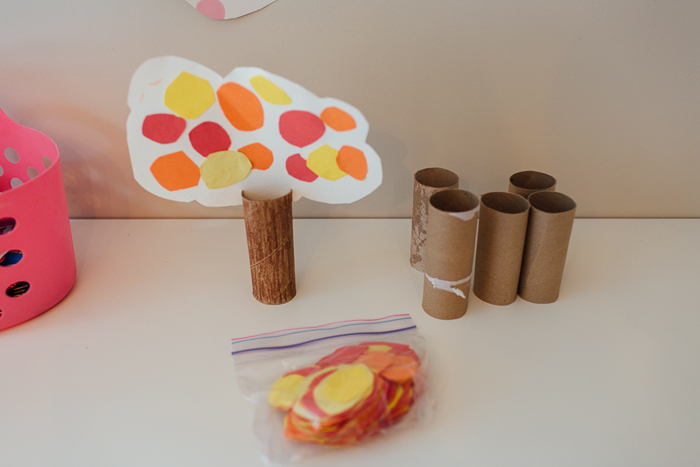 They also made a “fall tree” craft using toilet paper roles, bristol board and red, orange and yellow paper circles.